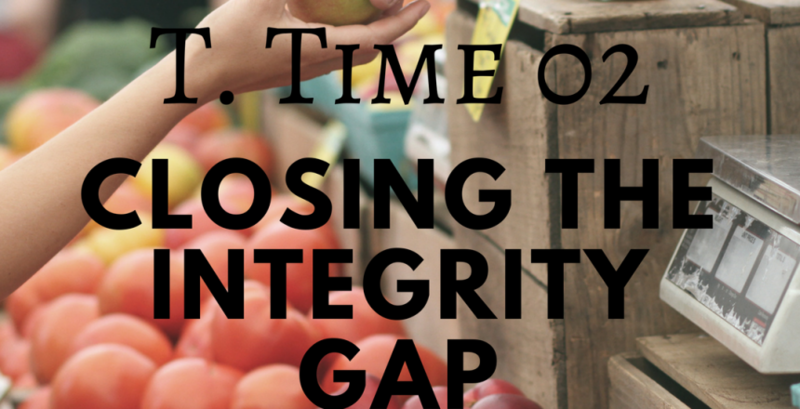 In the second episode of T. Time, we’re covering the idea of the integrity gap. As a quick refresher, the Integrity Gap is the difference between our stated beliefs and practiced virtues. We’ll discuss why these gaps exist, their effects, and what they mean for our food system.